I loved how you decorated these cookies and thoroughly enjoyed them, thanks so much! You’re welcome! Glad you enjoyed them!! I’d be crazy happy to have these cookies arrive at more door! I’ll admit – I was a little sad to send them off! Your cookies are almost too pretty to eat. But I love ginger and white chocolate so they are only almost too pretty. 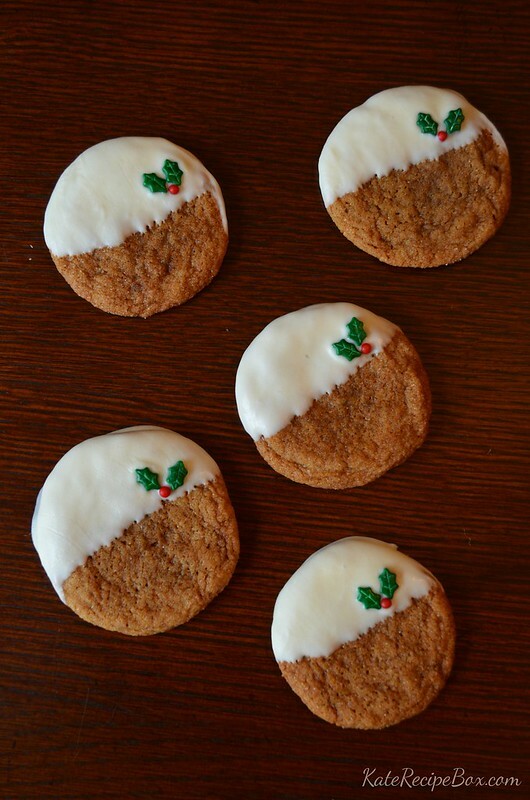 These cookies are perfectly decorated….simple and beautiful. I love this time of year because I can get gingerbread cookies! These are so pretty too! These look absolutely amazing! I love that you took traditional ginerbread cookies and added the white chocolate. YUM!! Happy holidays! These are totally gorgeous!! And festive! Plus, I am coveting those sprinkles. Yummy! My mom makes a cookie that is similar, and none of us can make it except her (no idea why lol). I love the flavors! These were so good and the favorite at our house. I was impressed at how soft they stayed.